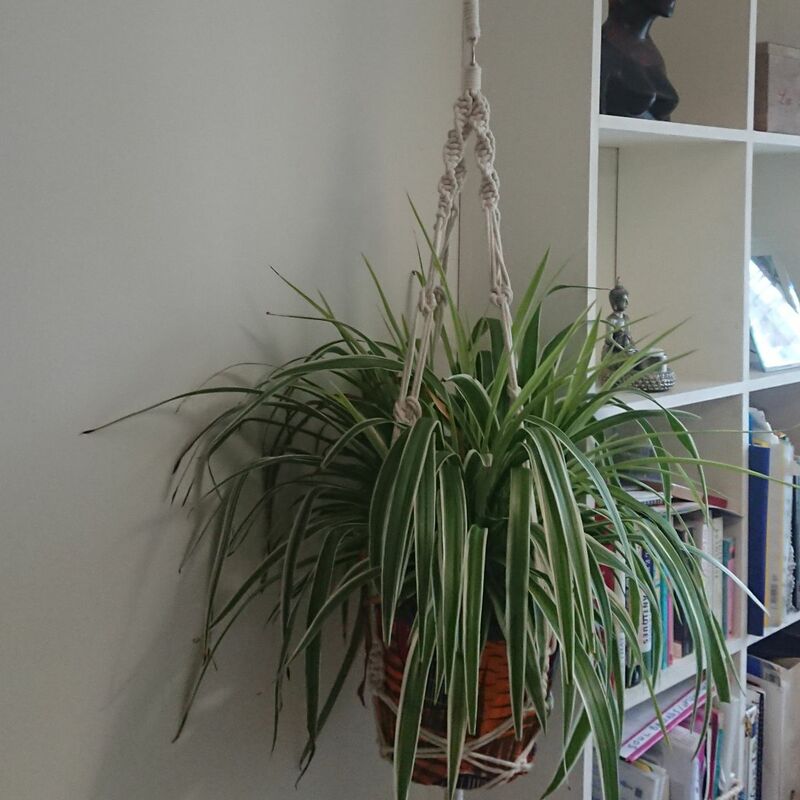 We are looking forward to seeing as many of you as possible, on the 18th April, to learn about making objects and holders using macramé. Lyn Gerald will be with us to show us how. As usual we will meet at St Margaret’s Hall, behind the Gallery Cafe, 21 Old Ford Rd, E2 9PL - from 7pm, we will start the meeting around 7.30. Enter via the black gate to the left of the cafe and walk right around the garden. Entry for members is free and visitors are asked for £5.00. There is a donation tin for refreshments. Our coffee morning, on the 26th April, is at Elbows, 103 Lauriston Rd, London E9 7HJ, meeting from 10.30. 24th April - Tower Hamlets St George’s Day Tea Dance, is at the Art Pavilion 2-4.30. To find out more click here. 27th April - At the Museum of Childhood St George's Day event, 11.30-4.30, we will have a cake & information stall. If you can help bake or serve on the day please get in touch, by responding to this email or contacting Natasha on 07701015588. Our May meeting will be the AGM, if anyone would like to find out about becoming a committee member, speak to one of us. We would welcome more help in coming up with ideas as well as organising meetings and events. Specifically, we will be looking for a new Treasurer, as Sioban will be standing down. 10 mins on... Passions, people, pedantry. If you have a passion, person or pedantry you’d like to let us know about in 10 minutes, please get in touch. So far we have 2 speakers and would welcome more. If you’re unsure about what would be involved, or whether you’d have enough to say, please ask and I’m sure and we can help. We have put together an outline of the meetings we have planned for the rest of the year, which you can see by clicking here, it will take you to the ‘coming up’ page on our website. Please come and join us, to celebrate International Women’s Month at our next meeting, on Thursday 21st March. We have photographer, Nyla Sammons, coming to talk about her exhibition at the Crossrail Place roof garden in Canary Wharf, showcasing the phenomenal achievements ofTough Women in Sport and Adventure. Nyla’s portraits give us a snapshot of their lives, demonstrating their ambition, achieving the extraordinary, winning medals and smashing world records. As usual we will meet at St Margaret’s Hall, behind the Gallery Cafe, 21 Old Ford Rd, E2 9PL - from 7pm, we will start the meeting around 7.30. Entry is via the black gate to the left of the cafe and around the garden. Our coffee morning on the 29th March will be at Quarantacinqua, 45 Roman Rd, London E2 0HU, meeting from 10.30. Before either of these meetings, on Friday 15th March, there is a coffee morning at Chisenhale Art Gallery. Meeting from 9am for tea/coffee and cake and then there will be an early morning viewing of Ghislaine Leung’s exhibition with an introduction by Layla Gatens. Last, but not least, if you haven’t yet renewed/paid your subscription for this year please do. Its costs just £42 and dual members pay £20 to the second group they join. We look forward to seeing you at our next meeting, on Thursday 21st February, to celebrate the Chinese Year of the Pig / Boar, and have a go at calligraphy with Maggie Wong. There was more information in the Nov/Dec magazine. And there is a lot more information on the National Federation's website, which you can get to by clicking here,. If there are any that particularly resonate it would be great to have an advocate. As usual we will meet at St Margaret’s Hall, behind the Gallery Cafe, 21 Old Ford Rd, E2 9PL - from 7pm, and will start, with calligraphy, at 7.30. Entry is via the black gate to the left of the cafe and around the garden. Our February coffee morning is on the following day, Fri 22nd, (otherwise it would in March!). And will be at Bee Hive, 305 Cambridge Heath Rd, Bethnal Green, London E2 9LH, meeting from 10.30. DeBeauvoir WI are planning a Community Games Afternoon, for women, families & children. Which is happening on March 10th, 2pm-5pm. Entry and board games will be free. Refreshments will be available for a donation. And there will be collecting boxes for donations of toiletries and money for Solace. With your name, the name of your WI and your address. Are you an East London resident with strong ties to your local community? Are you interested in women’s history? Do you want to see a museum representing the amazing women of east London, past and present? Then, they may be looking for you! If you are interested please reply to this mail and I will forward more information. Thank you for getting to the end of this longer than usual newsletter! We look forward to seeing you at our first meeting for 2019 on Thursday 17th January. Jackie Lynch, a Registered Nutritional Therapist, and author of a couple of books is coming to talk to us. Her most recent book is Va Va Voom: the 10-Day Energy Diet, which she was inspired to write because so many people come to her nutrition clinic complaining of feeling tired all the time. She will give a brief talk and then be available to answer questions. As usual, we will meet at St Margaret’s Hall, behind the Gallery Cafe, 21 Old Ford Rd, E2 9PL - from 7pm aiming to start around 730. Entry is via the black gate to the left of the cafe and around the garden. Entry for members is free, and visitors are asked to pay £5.00. There will be a donation tin for refreshments. Our coffee mornings are moving to the 4th Friday of every month, meeting from 10.30. The next one will be on 25th January at Chiringuito, Museum Gardens, Cambridge Heath Rd, London E2 9PA. Our first fundraising event for the year is on Saturday 26th January, when we will be catering for the East London Family History Society AGM, at the Ecology Pavilion. The plan is to serve tea, coffee & cake throughout the day, along with some soup and rolls for lunch. Last year this was a very successful and interesting event, so we are very happy to have been asked back. If you can help on the day, or by baking please get in touch. Subscriptions for 2019 are now due, full membership is £42 for the year, while dual members pay £20.50 to the second group they join. You can pay by cash or cheque at the next meeting. Or on-line. our bank details are: Lloyds: Sort Code 30-94-57 A/c 02044729. Please come and join us at our next meeting, on Tuesday 18th December, for our Christmas party, featuring a seasonal cheese and wine tasting with a quiz. As usual we will meet at St Margaret’s Hall, behind the Gallery Cafe, 21 Old Ford Rd, E2 9PL - from 7pm aiming to start around 7.30. Entry is via the black gate to the left of the cafe and around the garden. Entry for members is free and visitors are asked to pay £4.00. There is a donation tin for refreshments. Our Christmas coffee morning on the 21st December will be at – The Larder, 241 Globe Rd, E2 0JD, meeting from 10.30. Tower Hamlets Christmas Tea Dance is on 13th December and is free for Tower Hamlets residents. It is a fun afternoon with a professional dance band, instructors and partners and refreshments. We help with the later and enjoy the former. To find out more and register follow this link. I also want again to remind everyone that our meetings are moving to the 3rd THURSDAY of each month from January 2019. If you have set reminders in your calendars please change them. Our website has been updated, so you can check what is planned for the next few months by clicking here. Next year our coffee mornings will be on the 4th Friday of each month. Additionally we will be raising the visitor donation requested to £5 per meeting, which is in line with most other local groups and makes membership a good deal. Subscriptions for next year will be £42 for the year. Dual members pay £20 to the second group they join. At our next meeting, on Tuesday 20th November, we will be introduced to soap carving with Paula Haughney, a sculptor based in Bow. To find out more about her and her work click here. As usual we will meet at St Margaret’s Hall, behind the Gallery Cafe, 21 Old Ford Rd, E2 9PL - from 7pm aiming to start at 730. Entry is via the black gate to the left of the cafe and around the garden. This month we are also highlighting Bow Foodbank’s Christmas gift appeal. EEWI will be donating to the appeal, as our charity for 2018, but they need more. It is hoped that they will be able to give all 300 users of their service a small Christmas gift, costing about £5. This is in addition to the 10 items that can be picked up each week. As they are keen to give everyone a gift of a similar value and in the expectation that they will be able to buy more as a bulk purchase they are looking for cash donations. If you want to make a gift aid donation please follow this link, any money collected at our meeting will be forwarded to them. Our coffee morning on the 23rd November will be at - Second Shot Coffee, 475 Bethnal Green Rd, London E2 9QH, meeting from 10.30. Additionally there is a coffee morning at Chisenhale Gallery, 64 Chisenhale Rd, the following Friday, 30th November, from 9am, E3 5QZ, not only will there be some EEWI cake, tea & coffee, but also a tour of their current exhibition by Beirut based artist Lawrence Abu Hamdan. Whilst we still have most of November and December to look forward to, I wanted to warn everyone that our meetings are moving to the 3rd THURSDAY of each month from January 2019. If you have set reminders in your calendars please change them. Our website has been updated, so you can check what is planned for the next few months and coffee morning locations by clicking here. Next year we will also change the coffee mornings to either the 4th or 1st Friday of each month. If you have a preference please let us know. At our next meeting, on Tuesday 18th September, Nicola Whittaker, from Fellows - a specialist auction house for jewellery, watches, designer handbags and accessories as well as antiques and collectables, will be coming to talk about Art Deco jewellery. Please bring in anything you think may be of interest as she happy to look them and hold an Antiques Roadshow type event. As usual we will meet at St. Margaret's House, Old Ford Road Bethnal Green E2 9PL, with the doors opening at 7pm, aiming for a 7.30pm start. Enter via the gate to the left of the Gallery Cafe and walk around to the garden - you will see us in the hall, behind the Gallery Cafe. Meetings are free for members, and visitors are asked for a £4 donation. There is also a donation tin for refreshments. Our coffee morning on 21st September will be at Poplar Baths, 170 East India Dock Rd, E14 0ED, meeting from 10.30. N1 WI have also been in touch with a save the date invitation for this year’s Middlesex Federation Group Meeting on 22 October, 7-9pm at St James's Hall, Packington Street, N1. The speaker will be Dr Hollie Price, who is hosting a film screening of MOI films shown to WI groups during WWII. They will also be serving refreshments, holding a raffle, and running two recipe competitions in keeping with the WWII theme: preserves and potato dishes, which will be judged by Middlesex federation delegates.